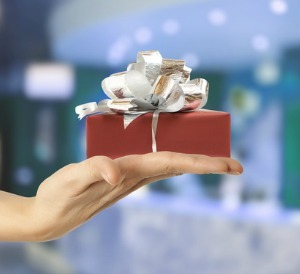 Are Companies Really Being ‘Nice’ If They Expect Customer Loyalty In Return? When you're nice, you're doing it just because. USA Today says in this story that big companies, from “McDonald’s to Etsy,” have gotten the message that if they’re going to attract the coveted millennial audience, they’re going to have to be “nice.” Max Wolf of Manhattan Venture Partners tells the paper that these younger customers will “quickly turn away” from a company they don’t respect, prompting steps like McD’s recent pay raise for 90,000 workers. There’s also the desire to attract quality workers, which McDonald’s CEO Steve Easterbrook cited when he made the wage increase announcement. Perhaps it’s just the way the headline is phrased, but it’s not that companies are “being nice” to get in good with customers. The relationship between companies and their customers is based on transactions. Customers give companies money and in exchange they get goods and services of equal value. Or at least at a value that both the seller and buyer can agree on. When customers have options, they can take their business elsewhere. So what this article describes as being nice is really a company’s attempts to generate loyalty. They want customers to prefer — feel better even — about spending their money with them versus the competition. But this isn’t a matter of the company generously offering things out of the goodness of their heart. To earn that loyalty, the company is increasing value. Stats show that millennials see value in aligning themselves with companies that take corporate social responsibility seriously. Companies that just jump on a CSR bandwagon will prove to be fake at some point. And if you just start giving things away to curry favor, you de-value the thing you still want people to pay for. The key is for companies to intrinsically believe in all that they’re doing, from the elements of the corporate culture to the philanthropic programs they participate in. This other article, also published in USA Today, illustrates that a lot better. Salesforce.com’s Marc Benioff is talking about his company’s strong stance against the Indiana legislation. Benioff is known for being a positive force in the community, donating $200 million to create the UCSF Benioff Children’s Hospital, for example. And he offered money to employees who would choose to leave Indiana rather than live under the new law. He tweeted in opposition to the law. Other tech leaders followed with their opposition. “We didn’t know we were going to get into this hybrid social-business program. So we’re all learning, and we’re seeing some best-practices forming, whether it’s Tim [Cook, Apple’s CEO] and his op-ed or Max [Levchin, Paypal’s founder] and his letter,” Benioff says. It’s more than just being nice but positioning the company so it does business in a way that adds value beyond what their selling. It’s still a transaction, but the customer is happier with what they’re buying into. It sounds small, but this is important. When a company is tired of being nice, when the bottom line doesn’t support continued gifts, a company can stop, putting the loyalty they sought in jeopardy. When you do something because it’s part and parcel to everyday business, it never goes away. It’s what the company is, and it keeps customers of all ages coming back.